Are you still looking for the perfect gift for the hard to buy for people in your life? Or maybe the person you didn’t know your were supposed to buy a gift for but you heard they bought you a gift and now you need to buy them a gift? Here’s an idea….A gift certificate to the Scranton Seahorse Inn! Perfect for moms, dads, sons, daughters, wife, husband, your ex-hunsbands new wife (part Christmas gift part thank you gift! ), your fiancé, your favorite caretaker, your kids awesome teacher, an outstanding employee, a friend, an enemy (soon to be ex-enemy), neighbor, olympic athlete (someone please buy one for Gus Kenworthy) your doctor, your dentist and of course yourself. Purchase before December 21st and receive it in the mail before Christmas. If you purchase after December 22nd we will email you a copy to print on your color printer. Call us today at 203.245.0550 to order your gift certificate for the Scranton Seahorse Inn. We have a few new expensive cartridges in our inkjet and we’re ready. We respectfully invite veterans to join us for a complimentary overnight stay at the Scranton Seahorse Inn on Monday November 12th. It’s our small token of appreciation to honor those who have served or are serving our country in a capacity we can never truly repay. Come spend then night in Madison, Connecticut and on the Connecticut shoreline for a day and night of rest and relaxation. If you are local and cannot stay with us overnight please join us for a complimentary welcome reception with wine and light refreshments in our dining room from 5-7pm. 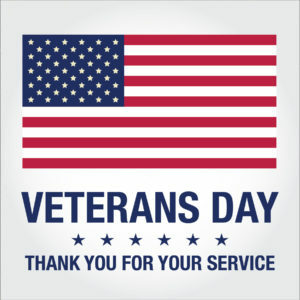 Veteran’s call today at 203.245.0550 to reserve your room. Check out the amazing schedule of events happening happening at The Kate in the coming months. With a school that includes opera, pop and jazz performances and comedy I can guarantee there is something for everyone to enjoy. 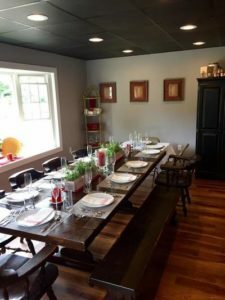 This great venue is located in the center of Old Saybrook on the Connecticut Shoreline and is just 15 minutes from The Scranton Seahorse Inn. Start planning your summer getaways today. A perfect staycation would include a night or two away with us while taking in a performance at the Kate. So much to do on the Connecticut Shoreline. Call us and we’ll hep you plan the perfect 48 hours. While you’re in Old Saybrook attending a performance you’ll have a lot of choices for food & drink before or after a show. One of our favorite places is The Rabbit Hole. Best hot dogs around! Madison -> New York City….Easy! New York City is easy to get to from Madison, Connecticut. Driving straight down route 95 will get you there in less than 2 hours. Even better you can take the train directly from Madison (a 10 minute walk from the Scranton Seahorse Inn) to Grand Central after changing trains in New Haven. If you use Madison as your home base Manhattan is a worthwhile day trip. We also offer to store the bulk of your luggage if you want to check out with an overnight bag and visit Manhattan but don’t want to haul your suit cases. Read about some of the highlights of this great city as described by our friend Dylan. 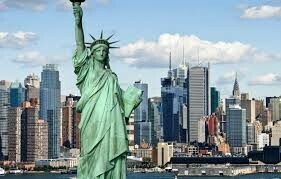 Known as “The city that never sleeps”, New York is a quick 2.5 hours south of Madison. Although there are many things to do and see in the city, such as seeing a musical on Broadway or ice skating in Rockefeller Center, there are other activities that you are able to experience in New York. One of my favorite free activities in the city is to walk the Highline. The best part of the Highline is that you get spectacular views of New York City. In addition, the Highline also hosts various events and contains diverse styles of art. Check out the calendar to see if there is an upcoming event that might interest you. Another place to visit in the city is the New York Transit Museum. At this site, you will learn about the history and the evolution of mass transportation in New York. One exhibit that is showcased at the museum is the “Fare Collection”, which highlights the history of how commuters have maneuvered and paid for the subway. Similar to Boston, New York is also home to some top-notch universities. Check out New York University located off the 8th Street-NYU subway stop. If you are looking for a more traditional college campus, then come check out Columbia University, which is located off of the 1 train on 116th street. New York is also home to some equally sports-enthused people. It is home to the Knicks(basketball), Rangers and Islanders(Hockey), Yankees and Mets(Baseball), and the Giants and Jets(Football). We get a lot of travelers from various parts of the country as well as out of the country. 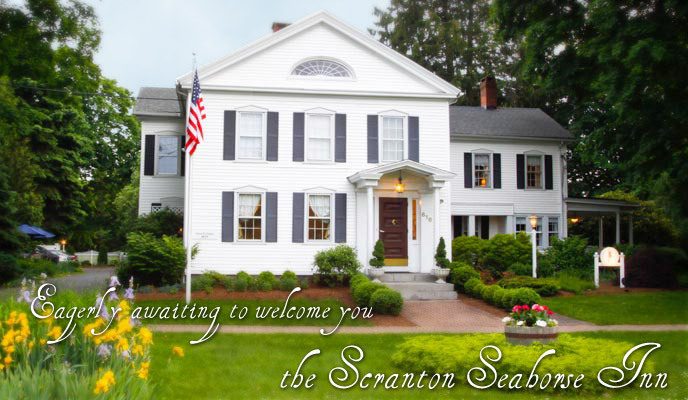 I’m often asked about good places to visit that are close to Scranton Seahorse Inn and to Madison, Connecticut. The good news for us in Madison is our close proximity to some of the greatest cities in the country. We don’t have to travel to far to experience great history, art, sports, culture and food. I asked our friend Dylan Moszkowitz if he would guest write a few blog entries for us. Over the next few days I’ll share some great info he’s put together on Boston, New York, and Philadelphia. Located along Connecticut’s Long Island Shore in New Haven County lies the quintessential New England town of Madison, CT. Previously known as a sleeper town with many family-owned shops and restaurants, the town has grown to nearly 20,000 people. Because of its centralized location, it is also quite easy to hop in your car and drive to many other nearby large northeastern cities. Two hours north of Madison lies the city of Boston, Massachusetts. One fact that the city is known for is that it is the birthplace of the American Revolution. 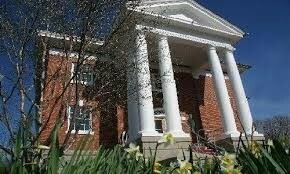 Therefore, there are a plentiful amount of things to do in the area. One site to visit while exploring Boston is Faneuil Hall. Built in 1742 as a gift from Boston’s wealthiest merchant Peter Faneuil, this historic landmark now attracts close to 20 million people annually. The site is also home to many different shops and restaurants. Another area of interest in Boston is the replica of the Cheers bar from the television show. If you are looking for the original Cheers bar, it is located off of Beacon Street by Boston Common near the Arlington T stop. Additionally, one tradition to do in Boston is to walk the Freedom Trail. Inaugurated in 1951, this walking tour showcases visual representations of the American Revolution. 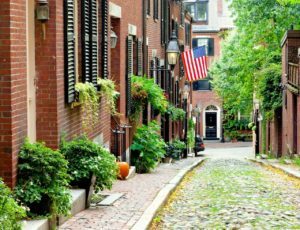 On the tour, you will see various historical sites in Boston, such as the Central Burying Ground and the Massachusetts State House. If you are more of an active person, the Freedom Trail also has a 5k running tour. One of the key differences between the running tour and the walking tour of the trail is that the running tour takes you through ALL of the 16 famous landmarks, which is about 3 miles. I did the running tour twice and highly recommend it. It was my favorite leisure activity while I lived in Boston. As a side note, do not forget to bring a jacket with you. Although it maybe warm on land, the boat ride from Charlestown back to Boston Harbor carries some strong, cold winds. I learned that the hard way. Besides the plentiful amount of history surrounding you, the city is also considered the “central hub” of American higher education. Many colleges are located in the area, such as Boston University(Go Terriers! ), Harvard University and Massachusetts Institute of Technology in cross-town city of Cambridge. In addition, Boston is also considered a city that has some of the most sports-passionate people you will ever meet. The city is home to the Celtics(basketball), Bruins(hockey), Red Sox(baseball), and the New England Patriots(football). We have a great Friday night package for you. So if you haven’t made plans make them now. For $225 enjoy an overnight stay with us at the Scranton Seahorse Inn and a 4 course meal at Chef Paul Barron’s The Table. This weeks menu includes scallops and beef tenderloin with other delicious flavors of spring like only Chef Paul can prepare. The best part about your dining experience at The Tale is you get to watch it all happen in his open kitchen. Dinner is at 5:30 or 8:00pm. BYOB. Menu for Friday April 20th. Call us at 203.245.0550 to book your TGIF package today. 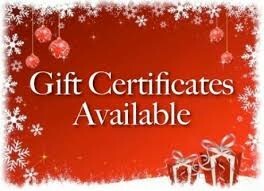 Get Your Gift Certificates Today!!! Still contemplating what to buy for that special someone on your list? Scranton Seahorse Inn gift certificates will make that special friend, parent, sibling, teacher, or colleague very happy! 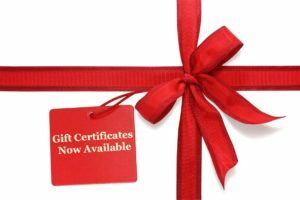 Gift certificates can be purchased in any denomination and never expire. 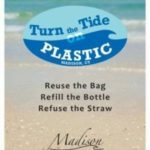 Madison Connecticut and the shoreline is a perfect place to visit any time of year so your gift will be appreciated no matter when it’s used. Here’s a bonus!! When you purchase a gift certificate of $200 or more you’ll receive an additional $25 gift certificate at no charge for yourself to use at another time. Or, you can give it as another gift or use it as a stocking stuffer or grab bag gift. We are happy to email you your gift certificate(s) or we can put one in the mail on the same day with our brochure. Don’t delay call today at 203.245.0550 and scratch another name (or two!) off your shopping list. Gift certificates will be sold until December 24th. Hoping to see you at the inn soon! Don’t forget to support your favorite small businesses during the holiday shopping season. You always get great service and great products from these independently owned businesses. 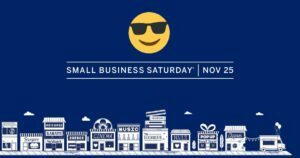 On Small Business Saturday you’ll get even bigger savings. Gift certificates for the Scranton Seahorse Inn make great gifts. On Small Business Saturday gift certificates are 20% off so be sure to give us a call at 203.245.0550 or stop by. Gift certificates purchased can be used for new reservations made in 2018 and cannot be combined with other discounts or used for existing reservations. Gift certificates are sold in $100 increments up to $2000. 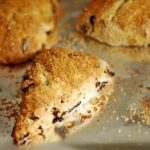 We are delighted to have Yankee Magazine select the Scranton Seahorse Inn as one of their top five bed and breakfasts in New England for the holidays. We go all out every holiday but nothing like we do at Christmas and we are happy our guests and Yankee readers think so too. 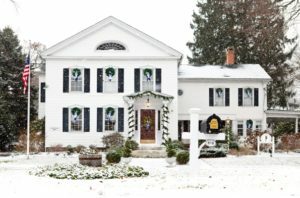 Click here to read about The Best Five B & B’s for the Holidays in Yankee’s November/December issue. Click here to check our availability and please come and see us soon! Time to enter the NCAA Tournament challenge win a free night at the Scranton Seahorse Inn! It’s March (again) and that means we’re ready for some college basketball & the NCAA Tournament Challenge. We have created a group on EPSN’s NCAA Tournament Challenge page which makes winning so easy. We invite our friends and guests to drop your bracket(s) into our group. Whoever comes out on top wins a free night at the Scranton Seahorse Inn. Create as many brackets as you want in our group before the start of the tournament. 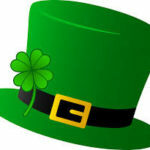 We will close our group to any more entries just prior to the first games on March 16th. Remember, the more participants we have the more fun it is so please share this with your friends and coworkers. Follow the link below to ESPN’s tourney challenge site and create your bracket with your best picks. It’s completely free to create a NCAA bracket and completely free to join the Seahorse Inn & Win group. In other words, you have nothing to lose! Thanks for playing and remember to tell your friends! Click here to see our tournament group Seahorse Inn & Win. See you at the Final Four in Pheonix!